While the Shredder is locked away at Riker's Island, the Foot Civil War rages through New York City. Each branch of the Foot is determined to kill the Turtles first, to prove their rightful claim to power. 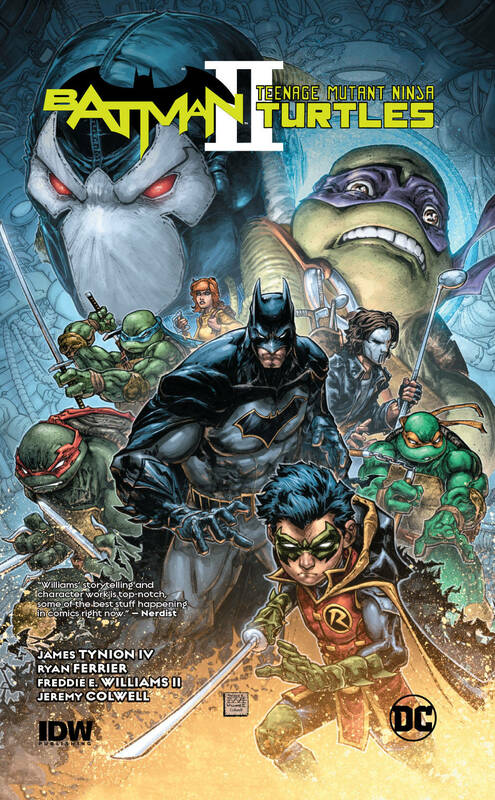 Meanwhile, Batman and Robin are back in the DC Universe, dealing with the repercussions of a massive Arkham Asylum breakout that freed Bane! 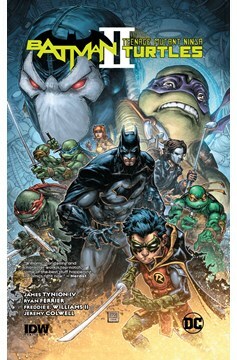 When Bane is unexpectedly transported to the Turtles' New York City, he swiftly takes control of the town, and Batman and the Turtles must join forces to defeat their common enemy! Collects #1-6..